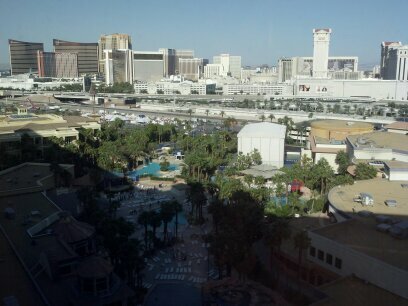 I am back (and survived) after a long week in Vegas attending the INS 2012 annual meeting. Although it was exhausting, one can’t say they didn’t learn anything, The week was packed with educational sessions that focused on may different core aspects of infusion nursing. There was something for everyone who attended – from first time attendees to veteran infusion nurses like myself and exhibit vendors/manufacturers. Evolving our Legacy was the presidential theme of INS president and a long time colleague, Dr. Jeannette Adams. Her accomplishments as president were presented during the opening session and her presidency was celebrated during a dinner in her honor. Congrats to Jeannette for a job well done! The educational sessions were very well planned and organized, thanks to the National Council on Education (NCOE). There were great speakers who presented current and interesting topics related to our specialty. This year, there was an international track showcasing how infusion therapy is practiced in other countries as well as a homecare track focusing on home infusion therapy. The abstracts and posters were as always outstanding! The keynote speaker, Chef Jeff Henderson, who went from being a drug dealer ex-convict to a celebrity chef at the Bellagio..was inspiring! And of course, who wouldn’t want an early morning serenade from the Rat Pack? The exhibit hall was packed with vendors and manufacturers eager to showcase their latest and greatest products and devices and who hopefully benefited from the time allocated just for exhibits. From 10am-2pm Monday – Wednesday, attendees had the time to be in the exhibit hall to view vendor/manufacturers exhibits/booths; poster presentations, exhibitor theaters, and simulation labs. Although it seem like a lot of time, when fully engaged in these activities, 12 hours doesn’t seem to be enough. Vegas is always a popular place for conventions and meetings. It is full of fun and entertainment, which after a long day of lectures and exhibits, is a good thing to do with family and friends. I like Vegas but what I didn’t enjoy was the smoke filled casino I have to pass every day to get to the convention center. I get it, most hotels and casinos in Vegas are that way -they still allow smoking but somehow they manage to diminish the smell so it’s not offensive, thus pleasing both guests who are smokers and non-smokers. Our host hotel didnt quite live up to that and my room wouldn’t pass a board of health inspection (yeah, I’m lucky that way!). Another annual meeting well done!! As the saying goes..”What happens in Vegas, stays in Vegas… not with this year’s INS meeting!! I took it home! ← May 6 – Happy Nurses Day!